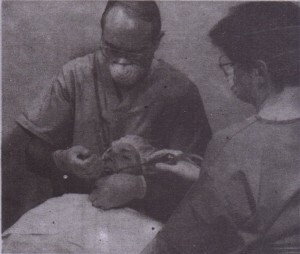 Mechanical Principles Involved In Tooth Extraction. 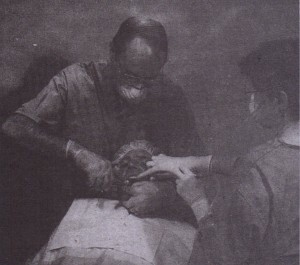 he removal of teeth from the alveolar process employs the use 01 the following mechanical principles and simple machines the lever, wedge, and wheel and axle. Elevators are used primarily as levers. A lever is a mechanism for transmitting a modest force-with the mechanical advantages of a long lever arm and a short efector arm into a small movement against great resistance (Fig. 7-38). 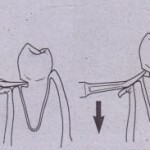 When an elevator is used for tooth extraction, a purchase point can be made and a crane pick can be used to elevate the tooth or a tooth root from the socket (Fig. 7-39). The small, straight elevator is frequently used to help mobilize teeth in a similar fashion, without the preparation of a purchase point. 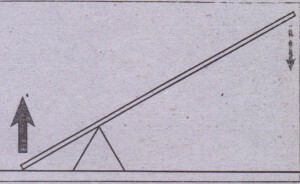 the second machine that is useful is the wedge (Fig.7-40). It is useful in several different ways for the extraction of teeth. First the beaks of the extraction forceps are usually narrow at their tips they broaden as they go periorly. When the forceps is used, there should be a conscious effort made to force the tips of the forceps into the periodontal ligament space to expand the bone and force the tooth out of the socket (Fig. 7-11). 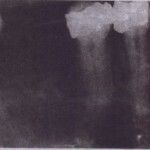 The wedge principle is also useful when a straight elevator is used to luxate a tooth from its socket. 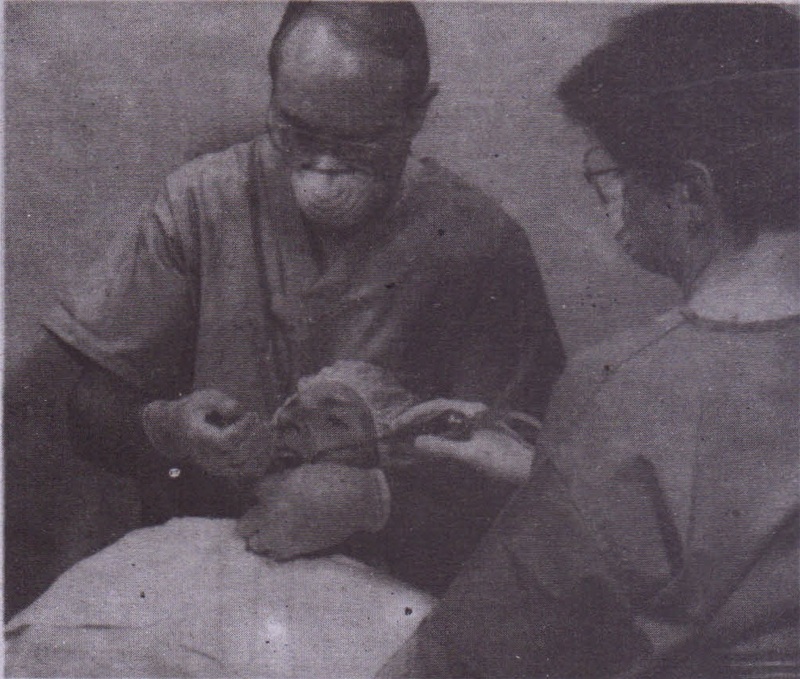 A small elevator is forced into the periodontal ligament space, which displaces the root toward the occlusion and therefore out of the socket (Fig. 7-12). The third machine used in tooth extraction is the wheel and axle, which is most closely identified with the triangular. or pennant-shaped, elevator. 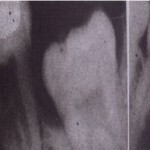 When one root of a multiple-rooted tooth is left in the alveolar process, the pennant-shaped elevator is positioned into the socket and turned. 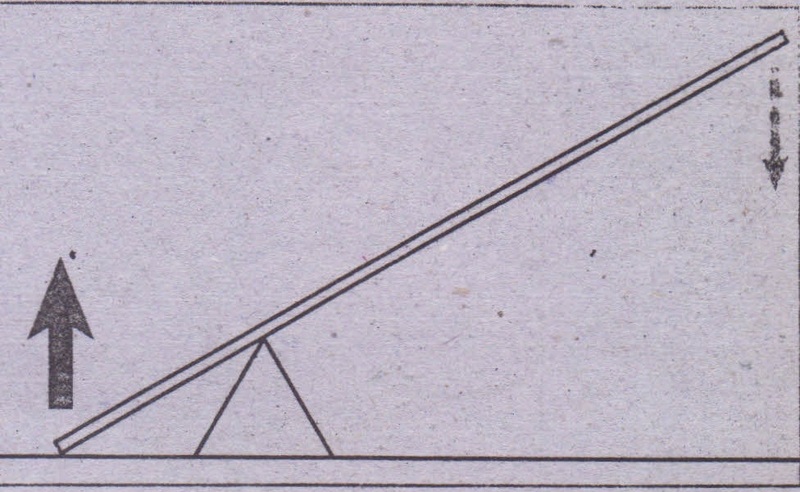 The handle then serves as the axle, and the tip of the triangular elevator acts as a wheel and engages and elevates the tooth root from the socket (Fig. 7-43). to small movement and large force.